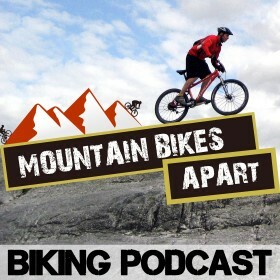 In this episode of The Mountain Bikes Apart podcast, I have something a little different for you: the story of a race I competed in at the end of October last year. My brother Bruce and I headed up to Fort William to compete in No Fuss Events’ infamous event: Relentless 24. It was the second time we’d taken part in the race, the first time being back in 2011. That time there were 4 of us. This time, only 2. I decided to record the experience, checking in at the end of each lap in an attempt to share exactly what it’s like to keep going for the full race, right through the night. Don’t get me wrong, I wasn’t making half the effort of some of the racers – hats off to those doing 24 hours all by themselves – but even 8 hours of racing, through 24 hours had it’s ups and down. Mostly ups, I’m pleased to say, but it’s interesting to listen to the mood changes throughout! Let me know what you think of the episode and whether you’d like to see more of this type of content. I could take the recorder out on more rides in future if so. Tweet me at thePodcastHost on Twitter, or check out my biking and podcasting exploits on Instagram.